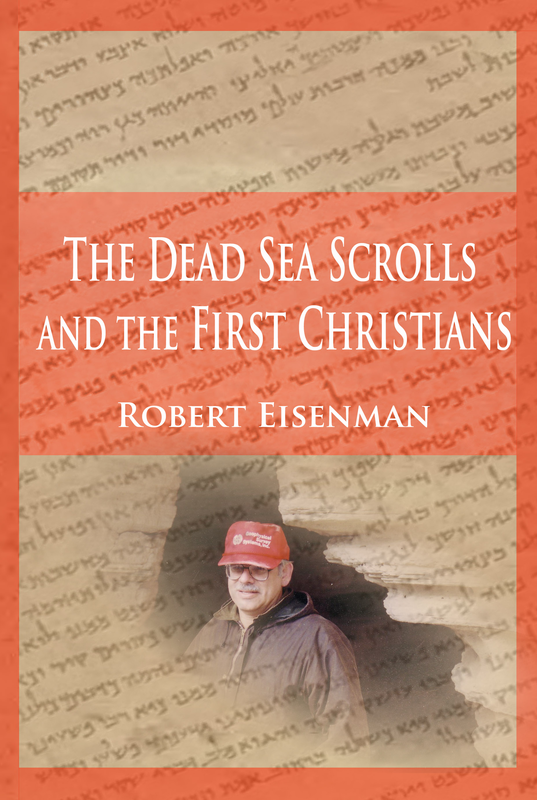 This is Eisenman's original, ground-breaking work in which he criticizes the archaeology and paleography of Qumran as it had been developed by 'the specialists' up to that time and rather offers his own hypothesis-starting with the fact that it was impossible to consider that the Maccabees were the so-called "Wicked Priests" at Qumran, primarily because everything known about them agrees, for the most part, with the doctrines and positions emanating from the documents known at that time to emanate from the area known as "Qumran" along the Northwestern part of the Dead Sea and which, for that reason, we call "The Dead Sea Scrolls". In addition, he shows rather that the Establishment against whom the Qumran Scrolls were in an almost homogeneous manner directed was rather that of the Herodians and the Priests that owed both their appointment and authority to them and the Roman Governors that in due course either replaced or ruled either through or in conjunction with them. 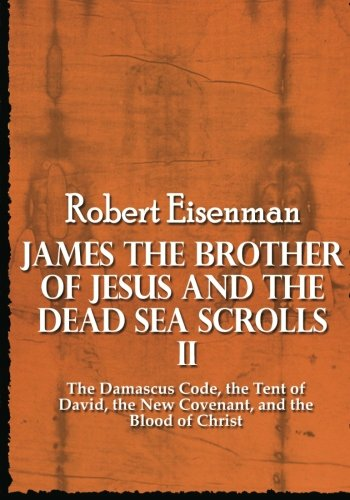 He also starts in this work to build his case for the fact that the individual came to be understood in Early Christian History as "James the Righteous" and called by everyone "James the Just"-that same individual known by everyone as as "James the Brother of Jesus"-had very much in common with "the Righteous Teacher" described and alluded to in many Dead Sea Scrolls documents. That is why this book, originally published in the early 1980s, was subtitled "A New Hypothesis of Qumran Origins". 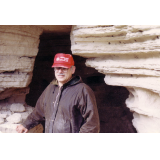 It was necessary to subject both the archaeology and paleography of Qumran-upon which the so-called "Establishment" or "Consensus of Qumran Scholars' had all based both their theories and chronology to thoroughgoing criticism. This he has done, as only someone who originally studied math and physics, could do, in a meticulously masterful fashion. No one has 'laid a glove' on his analysis since. At the same time and in parallel fashion, he starts to suggest that the 'opponent' of this individual in Early Christian History, Paul, had about the same amount of characteristics with the individual these same Qumran Documents are constantly referring to as "The Spouter of Lying", "the Liar" or "Man of Lying", or "the Scoffer" or Jester" (not someone to be taken seriously)-but, of course, this is not the same individual as "the Wicked Priest" whom prestigious Qumran 'scholars' on the highest level insist upon saddling him with because they saw "the Wicked Priest" and "the Lying Spouter" described in Qumran Documents as the same individual. Eisenman lays out here in very clear terms that the two individuals denoted as "the Wicked Priest" and "the Lying Spouter" were two distinct and absolutely separate persons-this again, despite what some 'scholars' attempt to foist on him in order to try to make him look ridiculous . No, on the contrary, in doing so, they only make themselves look ridiculous. 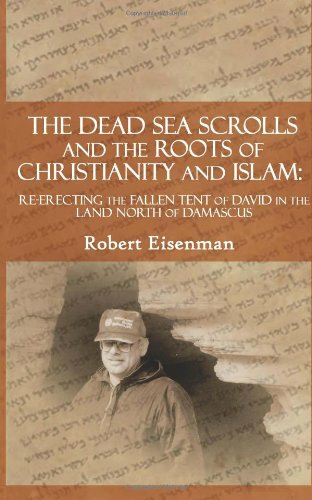 Eisenman is very careful here - "the Spouter of Lying" is an internal opponent of "the Righteous Teacher" at Qumran. "He denied the Law in the midst of the whole Congregation"! 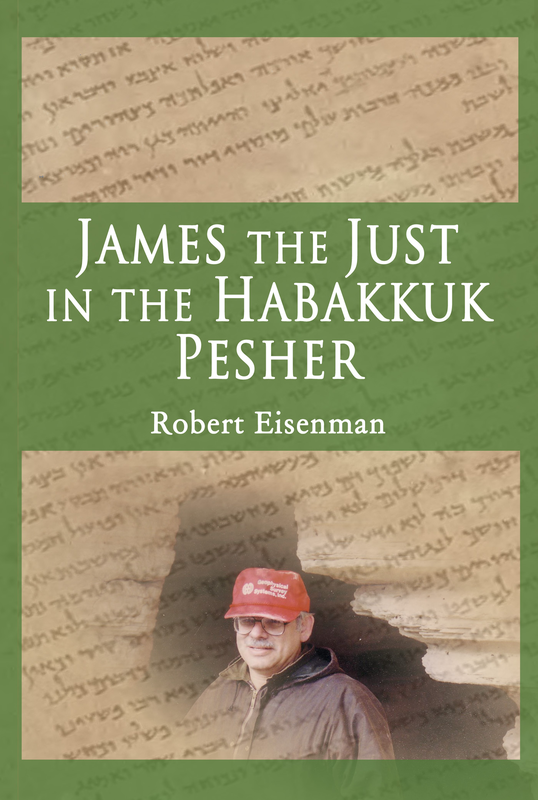 "The Wicked Priest - certainly no 'Maccabean'/'Hasmonean' - was rather an Establishment and probably Herodian High Priest, meaning, appointed by the "Herodians" and their Roman Overlords. It was this individual who was responsible either for the destruction or the death of "the Righteous Teacher"-a situation very much paralleling a number of such similar situations described, albeit rather tendentiously, in the New Testament and, of course, by Josephus. Anyone who picks up this short Book with its copious footnotes (much of the argument being conducted there, so his gainsayers would, of course, had to have first had a look at these before criticizing him-which usually they have not) will not be disappointed. It is and was his first salvo in the ongoing and running battle he has been conducting with "Consensus"